OLD PARKED CARS. 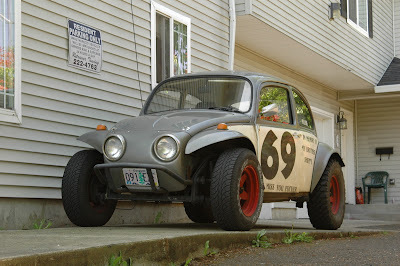 : 1970 Volkswagen Beetle Baja Bug. 1970 Volkswagen Beetle Baja Bug. love it, love it, love it. this would be awesome to drive around. This would be my vehicle of choice on the off road for fun and hooning. gotta build me one now. I have fallen in love with the Baja Bug. Totally agree with you, Tiburon. 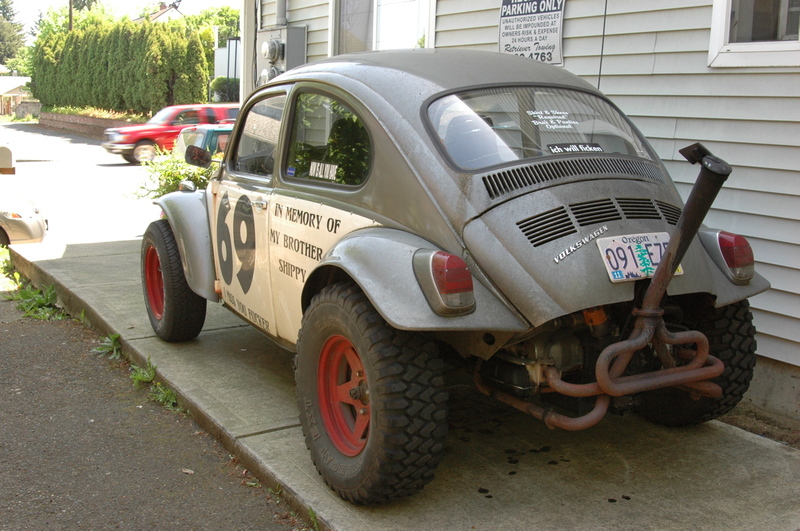 This Baja Bug is sweet! @SAM, these are usually rear wheel drive. these were meant to be cheap high speed open off-roaders, easily modded for off-road use. 4wd didn't fit into the cheap aspect of the mod so most people did not do it. a good set of mud tires or balloon tires on the back were good enough for traction as shown by this example. This is my favorite Baja ever. I love every angle so much. I wonder what happened to Skippy? When I was 15, this was my dream car! Growing up in South Jersey we had sand pits instead of quarries. My buddies and I would get a six pack and race around the pits, or as we put it, 'baha-ing'. The best car was the VW 'cause it was light and it rarely got stuck in the sand. Those days are long gone- the pits are now expensive homes. Does anyone know where you can buy these rear fenders? I love the look and I'd like to use them on my on VW Baja!